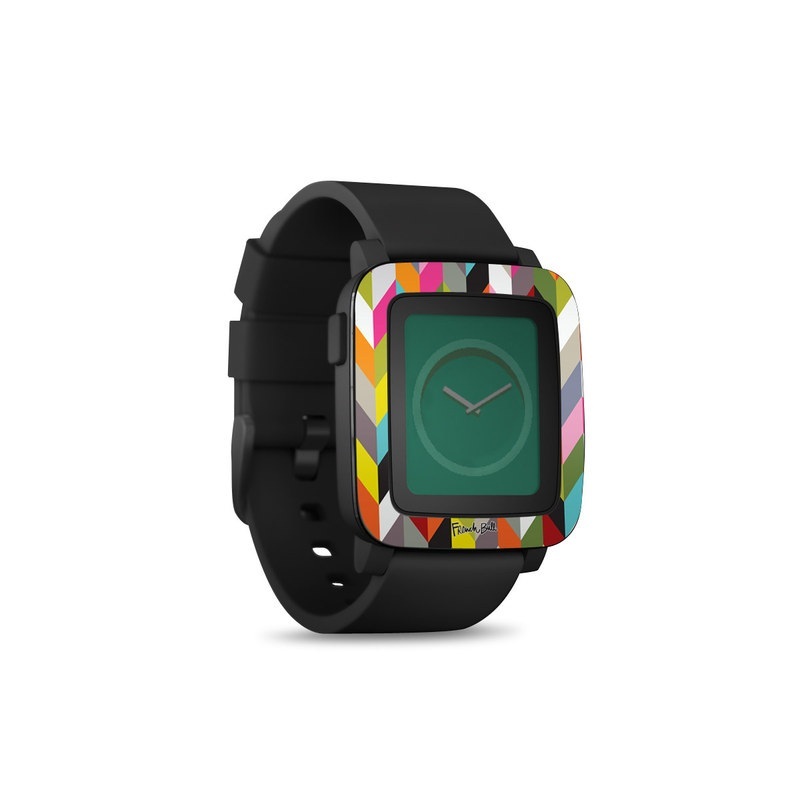 Remember, we offer over 1000 pieces of art as skins for your Pebble Time Smartwatch. This is a pretty well designed skin. It it sized well, does not extend out past the watch. The skin could have been a little wider, extending a bit more toward the center, but it looks nice with the skin, then the black of the area surrounding the screen, then the screen. The skin was not very difficult to apply, and it looks very nice afterwards! It's beautiful! I have the matte version of the rose gold marble on a new red Pebble Time, purchased in June, 2018. My third-party band is hot pink and a rose gold buckle. The skin is quite a bit lighter than pictured, but still very beautiful. Do you have screen protectors? Great skin. Fits great and makes my Pebble Time uniquely mine. Fun look to change up my Pebble Time. Perfect way to dress up my Pebble Time.